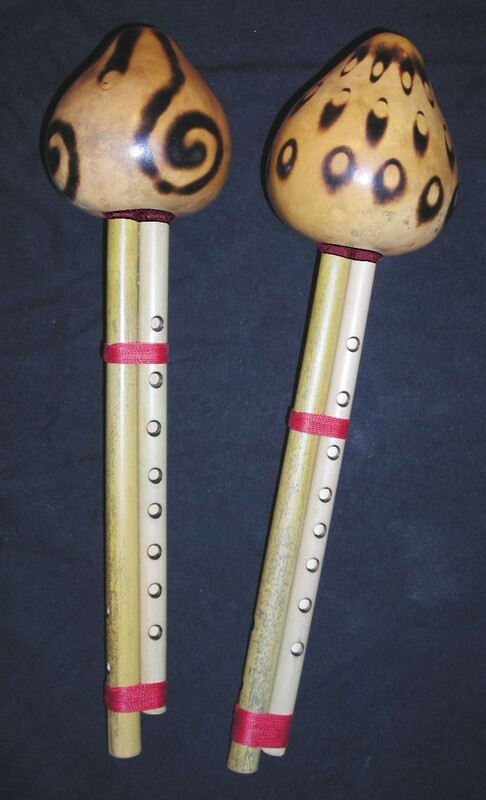 This musical instrument called Punji comes from India is one of the best known for the fame of enchanting snakes. 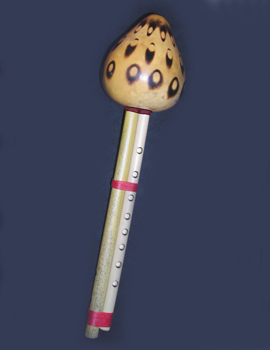 It is a gaita type flute with very powerful sound, it has a pedal note (permanent musical note) while playing melodies by covering or uncovering the holes of the second tube. It is very simple to run and its sound characterizes it. 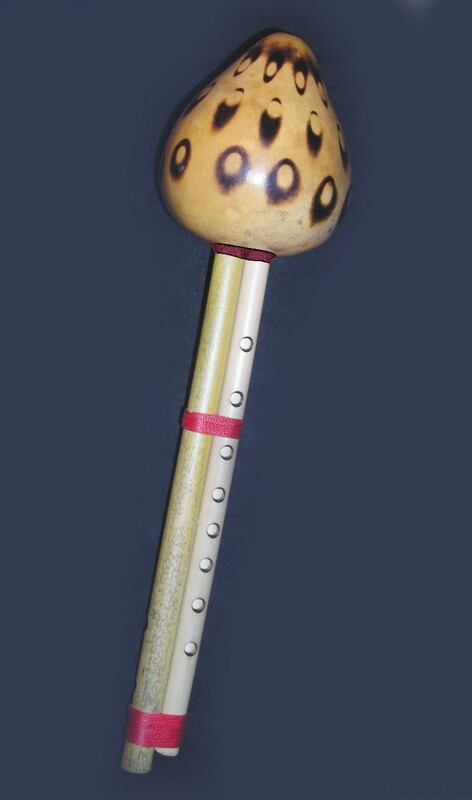 A precursor of clarinets and bagpipes, the bin or punji is a type of double clarinet that has a large pumpkin like a wind chamber (its mouthpiece). The reeds (internal in the pumpkin) are made of the same nature, cane, as the instrument and is simply a small cut in the cane to a nodal point and inserted at the end of a larger piece. 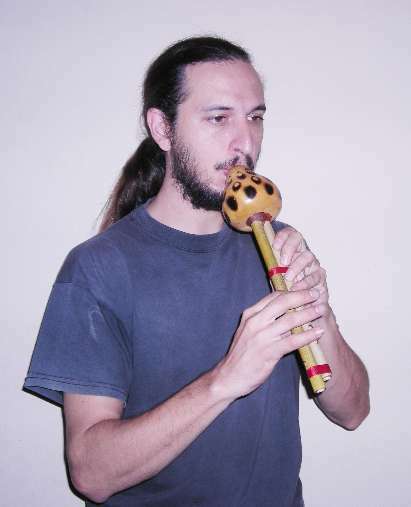 The great performers make use of circular breathing or continuous breathing to create the typical sound, which in many of these instruments is quite a challenge. (This is probably the reason someone invented this squash system that contains both internal nozzles like air bag). This instrument is very common in India and Pakistan, using it as enchanting snakes (mainly the lethal snake). It is said that this flute was used along with the Cobras as a form of threat, since this demonstrated a supernatural power over the snakes. Some people think that the snake is attracted to the sound of Punji, but snakes do not have ears. 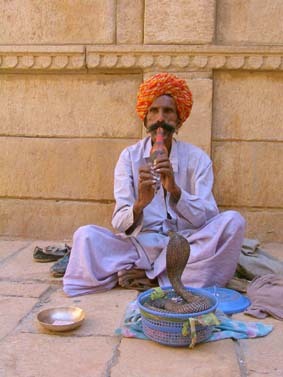 The snake charmer performs movements so that the snake is attracted erectly describing movements similar to the movement of the Punji.